Do you love riding your mountain bike at Mt Hood? If so, you have probably discovered the Sandy Ridge Trails in Brightwood, Oregon. The newly developed flow trails have become super popular in short period of time. And new trails are continually being built. 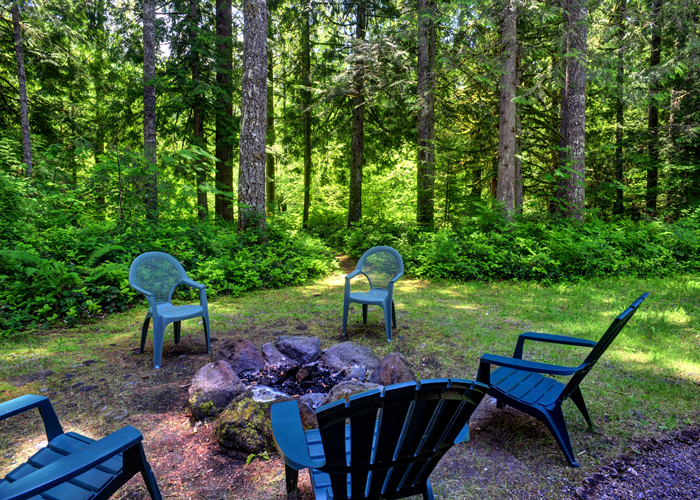 Mt Hood Vacation Rentals offers 5 rental cabins less than 2 miles from the trailheads, so you can turn your mountain bike trip into a vacation. 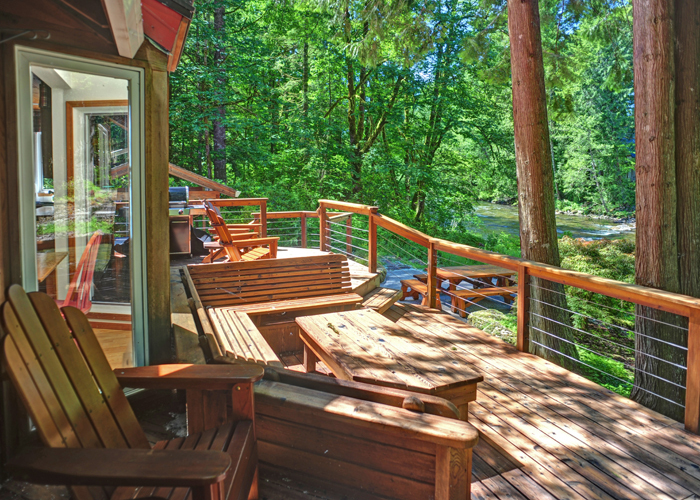 After your ride, head back to the vacation rental for some R & R. Grill dinner on the gas BBQ, hang out by the firepit and tell stories about the day's adventures, then soak in the private, outdoor hot tub. 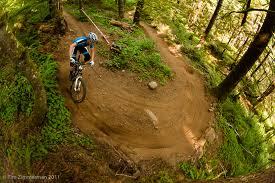 AUGUST MOUNTAIN BIKERS' SPECIAL: Stay in a Mt Hood Vacation Rental in August and receive a 10% discount. Just tell us about your favorite section of the Sandy Ridge Trails. On day two, head back to the Sandy Ridge Trails or try a new trail in the Mt Hood National Forest or head up to the Mt Hood Skibowl Mountain Bike Park in Government Camp. Looking for a bike shop, good place to eat or other information for during your visit?